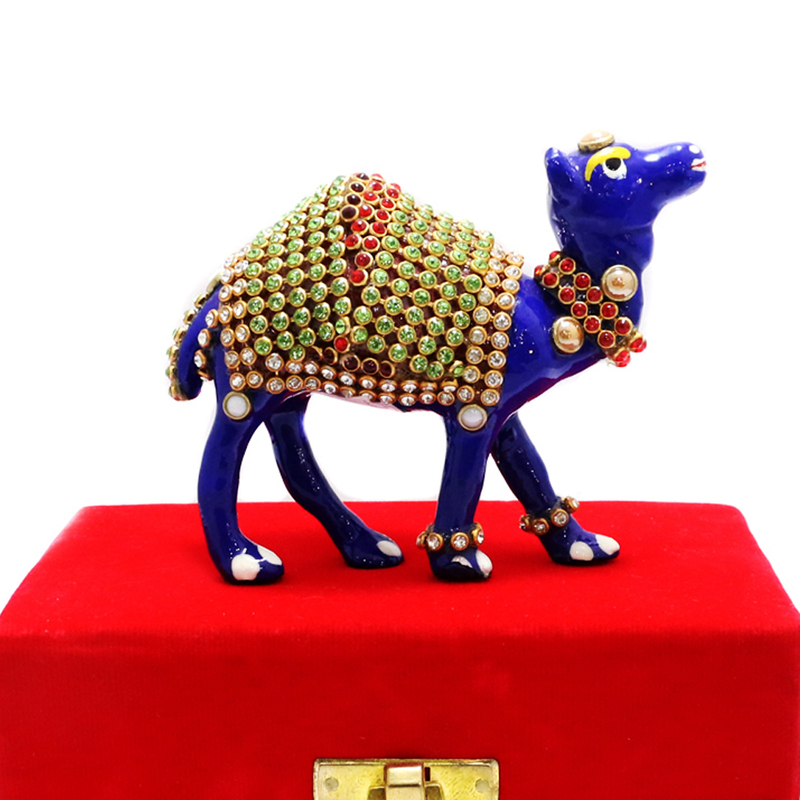 With its hump entirely sculpted with stone and meena work, this camel has a standing posture to enliven the space. 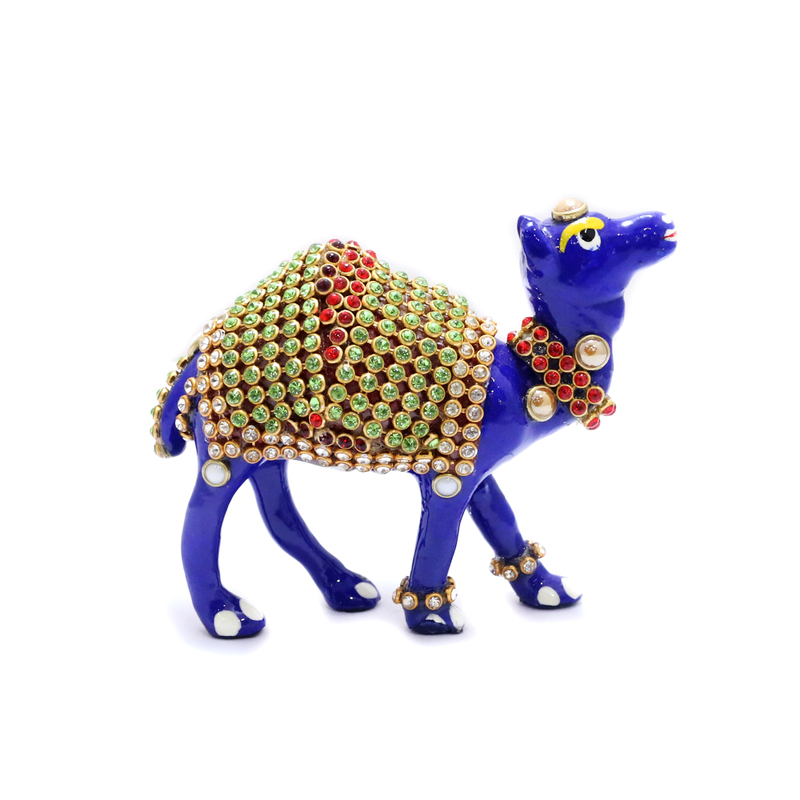 This metal camel also has Read More..a neck ornament made of stone work. 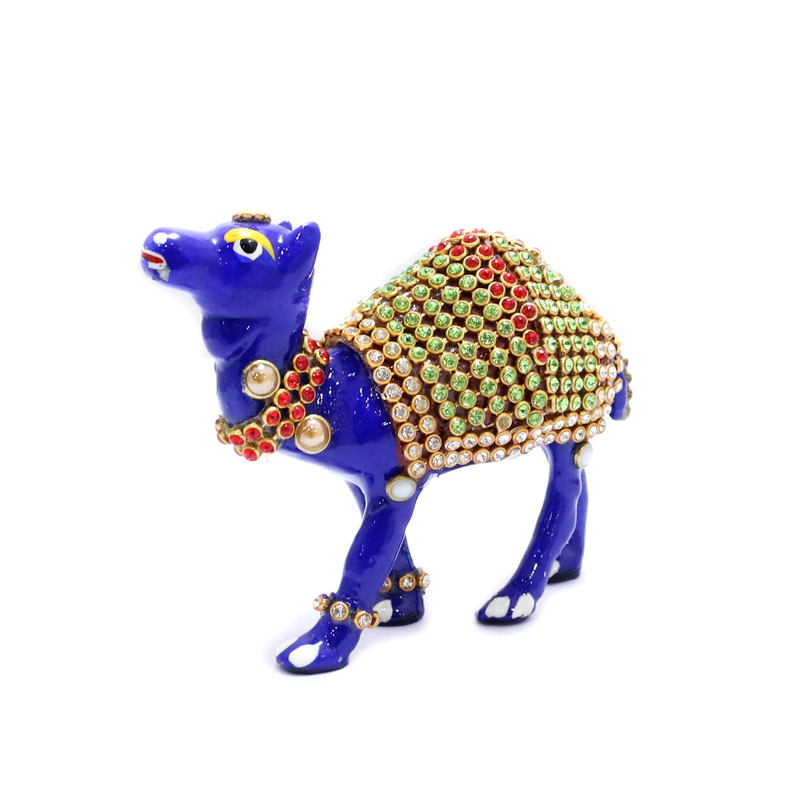 it is a good motif and therefore could make a nice present. Show Less..